Agility and customer centricity are primary themes today. Mapping the customer journey. Launching products and features quickly to adjust them — or pivot — just as quickly. All kinds of new technologies for analyzing reach. Yet companies must still satisfy the classic marketing requirements of producing good stories and inspiring the loyal purchase. CEOs, pressed for time and focus, often relegate marketing to a lower level of attention. It’s a habit left over from the days of slower message cycles, broadcasting and a lot of assumption about buyer values. Plus CEOs have to think about everything by the quarter. So with an at-best preoccupied and at-worst absent chief ambassador, the marketing investment — even when powered by the most powerful tools and visionary messages — suffers from not reaching its full potential. Because the CEO is the leader for a reason. She provides the direction and the inspiration. He keeps every stakeholder front-and-center. Here are five ideas for CEOs who want to manage distraction and be on the ground while breaking new ground for their brands in 2016. Demonstrate your devotion to the customer. If you must, think of it as taking a coffee break from the typical responsibilities of running a company. Not only does this pull you into the marketing effort, it sets a company standard for looking outward. Quarterly: Call a customer. Or better yet, visit one. Monthly: Share a customer story — good, bad, ugly — with your employees. Cover the key learning points the company should absorb and address. Weekly: Ask a manager to communicate one key customer or competitor insight to the entire organization. Daily: Pick one item from your daily non-company reading [you’re doing that, right?] to share with the company. Make it about the market, buying trends, innovation — anything that will align your brand with the marketplace and maybe equip people to amplify the brand’s values. Test your own assumptions. About your people, your competitors and your customers. Quarterly: Ask your marketing team to give you a short briefing on what is being said about your brand. Monthly: Visit competitors’ websites and social media accounts to see if you want to add any insights to what your teams tell you about competitors’ products, services and customers. Weekly: Check what industry influencers are saying about trends and shifts in your marketplace. Daily: Ensure that what customer says — good, bad, ugly — gets addressed by marketing messages and literally turned into marketing copy. Tell an elegant story. Uncomplicated, drama-free, yet compelling. Invite customers and influencers to align with you, not just to buy your products. Quarterly: Write something to share with customers and employees — something that demonstrates your company’s connection with the marketplace. Use an editor. Monthly: For employees, share an anecdote about an employee who has done something to exemplify the brand’s reach and impact on customers. Weekly: Schedule five minutes to talk with an employee about what is working on the street — and what is not. Daily: Look at your marketing outreach, particularly social media, to offer guidance and to make sure the team is on message. Surround your brand with leaders who have talents you do not. Whether it’s your marketing team or an event you are sponsoring, spare no time or expense in bringing the fresh air of new perspectives to your company. At the same time, vet attitudes as well as capabilities. For example, make sure every speaker your team invites to your company events is someone you can respect. You don’t have to agree with everyone, but let’s say the team finds someone who is billed as an expert in diversity. And it turns out they attack people on Twitter. Your invitations to people like this — as advisors, speakers or employees — say volumes about the brand. And no amount of clever marketing will correct the mistake of people who wound your brand through a thousand little cuts. Quarterly: Ask for an audit of the content and experts your team is using to burnish or represent your brand. The marketing team should be doing independent research, not just looking at the experts’ or agencies’ marketing material. Monthly: Go to a professional event that’s featuring a speaker or a panel. Remember what you liked and pass it on to your marketing team. Weekly: Keep and update a file of quotations or essays you like. Having this on hand when you’re approving an event agenda will help you ensure content relevant to your brand. Daily: Check the editorial page of a publication you like. Reward actors, not bystanders. One of the great consumer frustrations today is the inability of customer service reps to go off-script — to actually come up with a solution on one’s own to a customer’s problem. The advent of social media has had a positive effect on the robo-response tendency — but we have a long way to go. Rote answers to customers’ concerns are the province of the bystander employee. As Cate Huston wrote in this excellent essay on the problem with corporate bystanders who don’t nip sexism in the bud, “it starts with refusing to be a bystander by calling things out”. Same phenomenon at work in branding: all the beautiful design and expensive messaging in the world won’t compensate for front-line employees asked to divert customers from what bothers them. Quarterly: Listen to or read how a customer rep handled a problem. See if it resonates with your brand strategy. Monthly: Ask direct reports to give an example of a problem solved that improved on customer service practice. Weekly: Ask for a memo on the top five customer comments on social media. 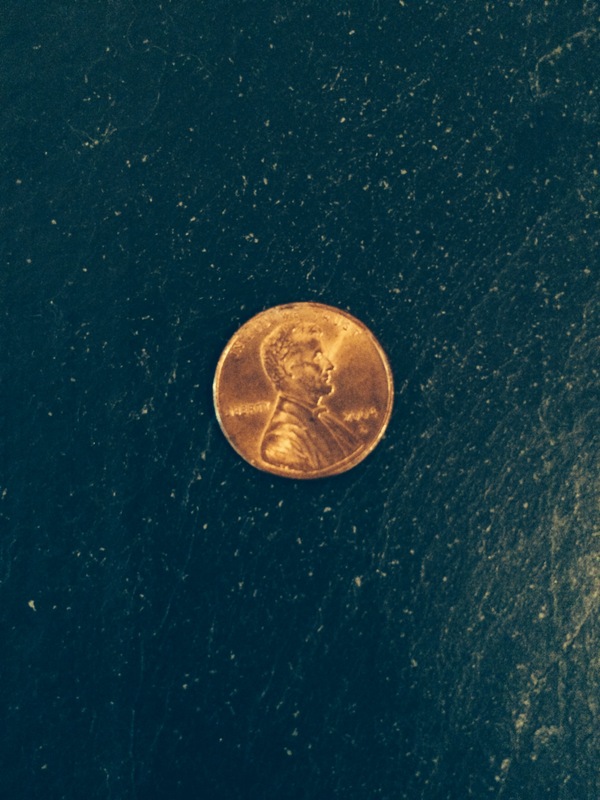 Daily: Show your internal teams that you are confident enough to go off-script, too. In celebrating both the 500th anniversary of The Prince, by Niccolo Machiavelli, and the life of Claudio Abbado, legendary conductor of La Scala, we celebrate leadership. THE ECONOMIST used “the art of listening” to draw a picture of Abbado for readers, connecting the young musician’s ability to hear and memorize music in his head with the professional orchestras he would lead and ultimately, the listening audience he invited into the music before he died. For Booz&Co, James O’Toole takes us through what he believes we must understand about Machiavelli’s legacy — the situational leadership model taught in most business schools — and he leaves us with the questions Machiavelli’s work must provoke in each of us as we work. 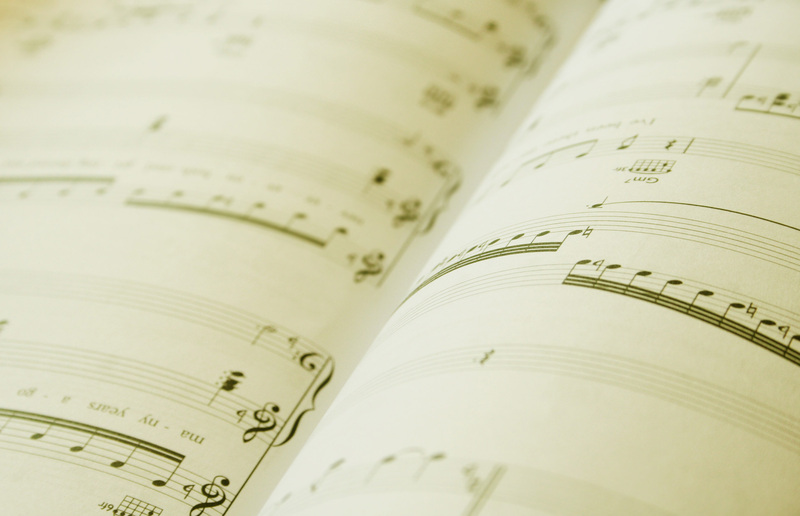 We can find one thing in common between these two diverse leadership cases: whether the leader is making music or making money, he or she is creating an experience. When a leader had all the power, he got to decide what the experience was going to be. Today, however, she doesn’t have all the power — just a portion of it and maybe for not a very long time. The one thing we can make consistent in an era some are already calling “the age of experience” is the experience we provide from our end of the exchange. Besides quality and what the customer wants, how does the customer feel? Does the skilled employee want to stay and help create the experience? Do the suppliers want to be part of the experience, too? Whatever our role in a transaction, we’re in a relationship — and our ability to transmit respect, trust and even authority can keep our “customers” coming back. Last week, one of Silicon Valley’s most respected venture capitalists wrote in a blog post for THE NEW YORK TIMES an explanation of why he’s so excited about Bitcoin, the virtual currency. Marc Andreessen is actively seeking startups to fund in this area. The creator of the world’s first computer browser, Netscape, Andreessen makes a strong case for going virtual. Andreessen’s essay is good reading — as is the ebook, “Conversational Bitcoin,” by Christopher Carfi. Chris makes Bitcoin easy to understand. It’s free to download here. This week’s coverage of illegal activity by Bitcoin buyers and sellers is making it easy for some to reject the emergence of virtual currency. Yet things like a black market and theft have always stained the human condition. Look at the banking industry’s 2008 doings. Or think about how the island of Manhattan was “purchased” from Native Americans. Corporate executives, political activists and private citizens are debating the nature of personal wealth in America. It’s a good time to explore anything that might make us all think about our financial reach. And what we can be doing with it. Namely, being open to new means of financial transaction that might enfranchise every human being. On Monday, I wrote in the weekly newsbrief about how we can find talent on our teams in the unlikeliest places. How project leaders who discover and promote talent can trust them to take work to innovative places. These project leaders generally have the foresight, strength and confidence that equip them to let those they lead to excel — to enter and capture the spotlight — to extend the project message in other interesting, often unplanned ways. The story of Oscar nominee Barkhad Abdi serves as the case study. The man was selected without any acting experience by a director who taught him as well as hired him and knew a good line when he heard it. The ad-lib heard around the world is showing all of us, not just Hollywood, how to be delighted by the unexpected. Not threatened by it. By Tuesday evening, I was enduring the remarks of a so-called expert in talent who fretted that “token floozies” in companies like Twitter are not truly women of the tech workforce. Who then refused to explain what he meant. For two days now. You see, he expects only to pontificate. To not answer questions unless they are posed in a way that flatters his ego and sustains his superiority, both in the asking and the answering. Should this man be challenged, watch out. He cites Duke University, Stanford University, Singularity University, WASHINGTON POST, THE WALL STREET JOURNAL and startup Trove as the stars in his CV, and so far, they see no need to call for an explanation, either. Rumor has it he has a book coming out about how women are leaving tech employers in droves. If tech women are leaving anywhere in droves, it’s for two reasons. First, for being expected to behave, code and program in the manner of the teen tech stars who have captivated Silicon Valley for the first decade of this century. Second, women leave because guys like this appoint themselves gurus of all things female and feminine without working — hard — with the founders and teams who are actually building companies, products, services and customer lists. There is not a conspiracy to prevent women from succeeding. But there is money to be made selling books that tell us there is. Guys like this think the only good women are the ones who have multiple degrees in engineering related disciplines. Guys like this think that women who write stories or build customer communities are not really women of tech. Guys like this believe Minimum Viable Products spring forth unaided from engineers who need marketing, accounting, sales and legal experts only to serve them, not advise them or stand beside them as founders. At least this is what I assume. Because in the absence of a real clarification from Mr-Women-in-the-Tech-Workforce, I can only conclude he’s like a few, not the majority, of the guys I’ve encountered in my decades of experience: suspicious of anyone in heels, assumptive that mascara and brains do not go together, and convinced he knows better than anyone else, including women, what they need and want from a career. He’s a misogynist. And the only woman he can begin to trust is one with a pure engineering pedigree. Well, even the women with those kinds of pedigrees don’t tend to believe that. In fact, one of the great things about women in the workforce is that we understand the importance of being open to the possibilities, wherever they emerge and from whatever corner. I’d rather see this guy write about that than feather his own nest with nasty diatribes against the producers — like Twitter, Facebook and Google — who are hiring women and creating open opportunities based on merit, not gender. Whether the talent was once a limousine driver or is a woman with a BA, we have to celebrate the people who are inviting them to the talent pool. And we have to celebrate the talent. Because even the business-side floozies deserve their moment in the sun when they engage users and customers in technological marvels. By the way. First rule of PR: acknowledge your own missteps. Second: assume the questioner is sincere and respond with clarification, even if you think it’s a “mindless rant” [his words, not mine]. That’s the only way you get in front of your own mistake. Own it and explain it or you’ll never move beyond it. There was no simpler time. Never, ever. 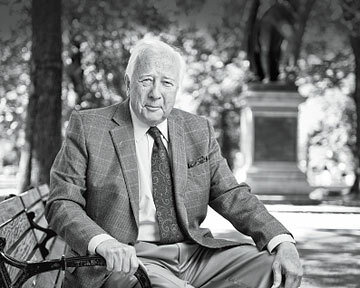 David McCullough tells the best stories about American history through the lens of leadership. Last year, he shared his encouraging, grounded perspective with Scott Berinato in this interview for HARVARD BUSINESS REVIEW. Here are my favorite observations. When the founders wrote about life, liberty, and the pursuit of happiness, they didn’t mean longer vacations and more comfortable hammocks. They meant the pursuit of learning. The love of learning. The pursuit of improvement and excellence. Are we in a special or particularly fraught moment in our history? A turning point? I’m very annoyed when I hear people who ought to know better flannelling away about how it was a simpler time “back then.” There was no simpler time. Never, ever. Imagine being in our country in 1918, and 500,000 people have died of a disease. No one knows where it came from or how long it’s going to stay or how to get rid of it. Would that be called a simpler time? Would the Civil War, or the Great Depression? What makes a president a great leader? The capacity to lift our sights a little higher. Someone who can call on us to make sacrifices, not promise to give us more. One who can say I’m not going to make it easier for us. I’m going to make it harder, because we have hard things to do. And let’s be grown up about this. At the end of John Adams’s life, Ralph Waldo Emerson went to talk with the old president. 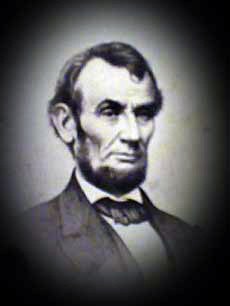 Adams said to him, “I would to God there were more ambition in the country.” And then he paused and said, “by that I mean ambition of the laudable kind, ambition to excel.” Not ambition to get rich or famous or powerful but to excel. That’s when human beings are at their best. I like people who work hard; the people who are best at what they do almost without exception are also the hardest workers. 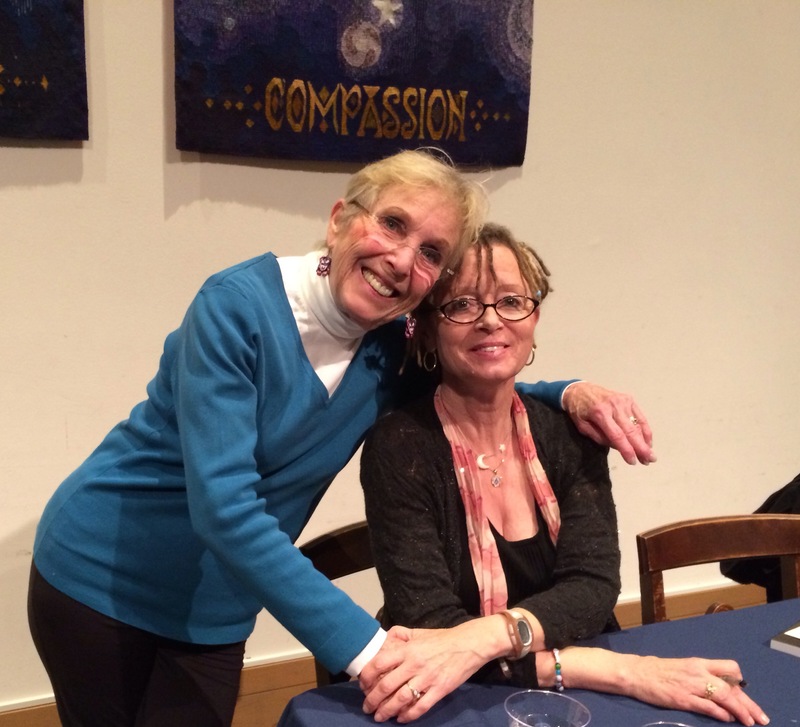 What a nice evening: the good fortune to visit the wellspring of the great Anne Lamott’s perspective. Funny and profound. As drawn in a lively conversation by the wonderful Fran Moreland Johns, who does a bit of remarkable writing herself. Anne has a new book: Stitches: A Handbook on Meaning, Hope and Repair. The theme resounds on so many levels, not the least of which is the sewing. Two generations of our family made a living stitching. In Big Stone Gap, where I grew up, quilters create stitched wonders. And in another bit of serendipity, Anne’s editor at Riverhead Books is none other than Jake Morrissey, friend of Adriana Trigiani and the family and a major writing talent himself.